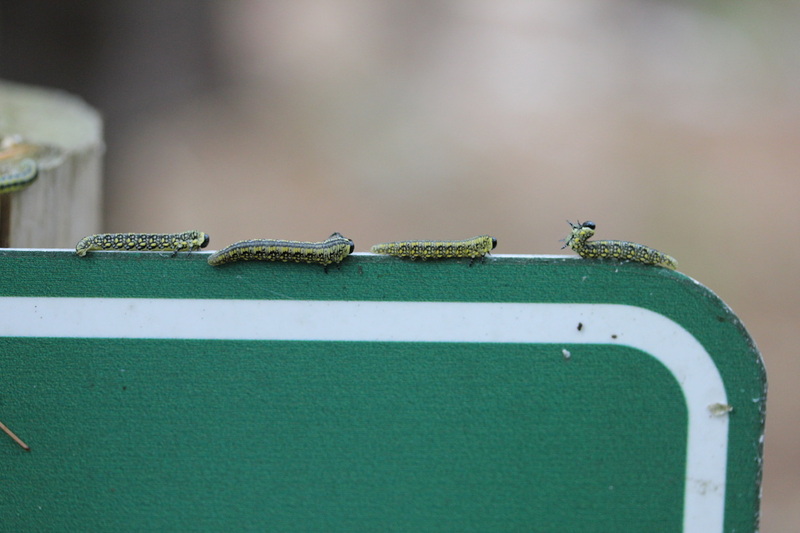 Thanks to Charley Eiseman with bugguide.net for helping to identify the caterpillars that were on our sign at Northeast Penjajawoc Preserve. Turns out they like to eat pine trees. Since they are prey for natural predators like the Black-capped Chickadee, their populations have been kept in check. They build a brown, oval-shaped cocoon and overwinter in leaf litter. 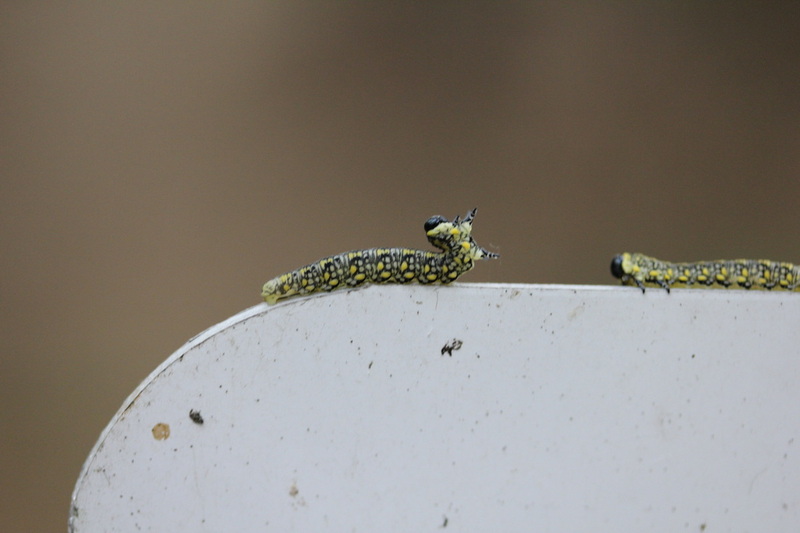 If you want to read more about them, here's a great site - http://www.na.fs.fed.us/spfo/pubs/fidls/intro_sawfly/intro_sawfly.htm.